Coffee contains many beneficial vitamins and nutrients. Whether you are using coffee butter to care for your hair, your skin or for your body in general, you will find that these nutrients are great for your skin, your hair, your nails, and even your mood. Coffee is a natural mood lifter, and using this product will lift your mood in a natural way. 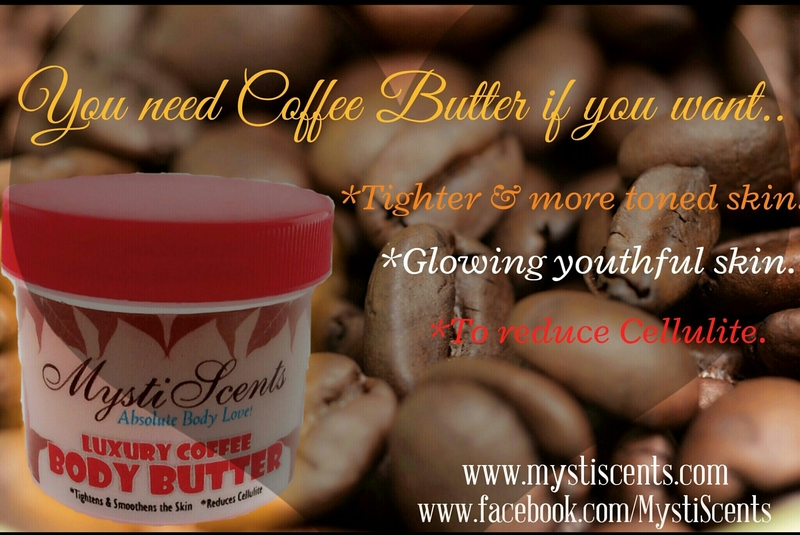 It’s been said that models use coffee butter to lightly massage their skin before photoshoots to achieve that firm and toned look. Some high end products that treat cellulite and are very expensive use caffeine as one of their key ingredients. This product contains Arabian Coffee Oil and smells strongly of coffee. You only need a little to massage a large area. Use on areas prone to cellulite like thighs, buttocks and arms. **To effectively fight cellulite, you also need to watch your diet and incorporate exercises targeted at affected areas.